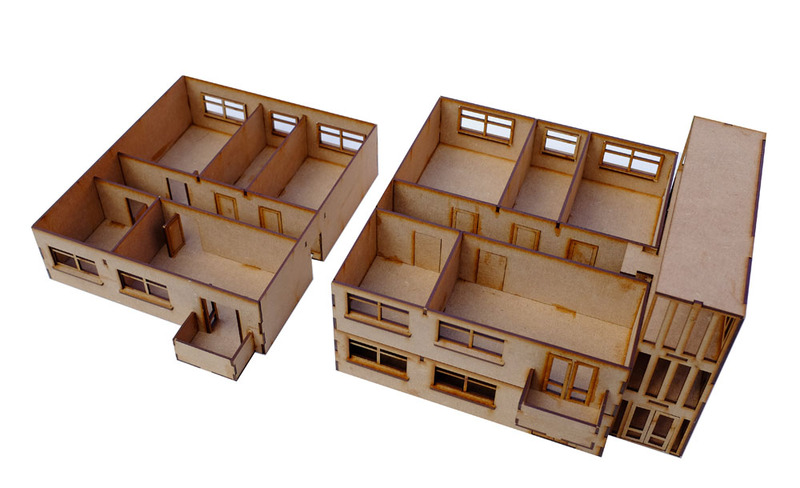 New 28mm Block of Flats. 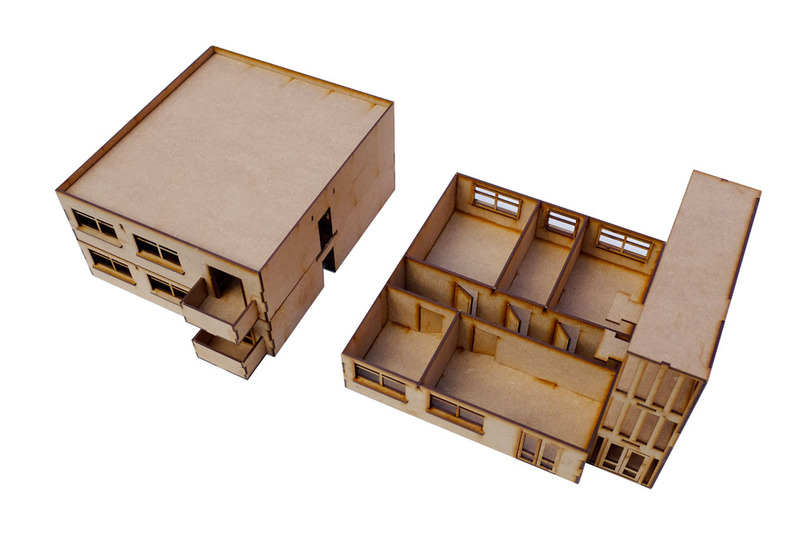 Our block of flats is a three story modern building that is very useful for a wide variety of game systems and scenarios. 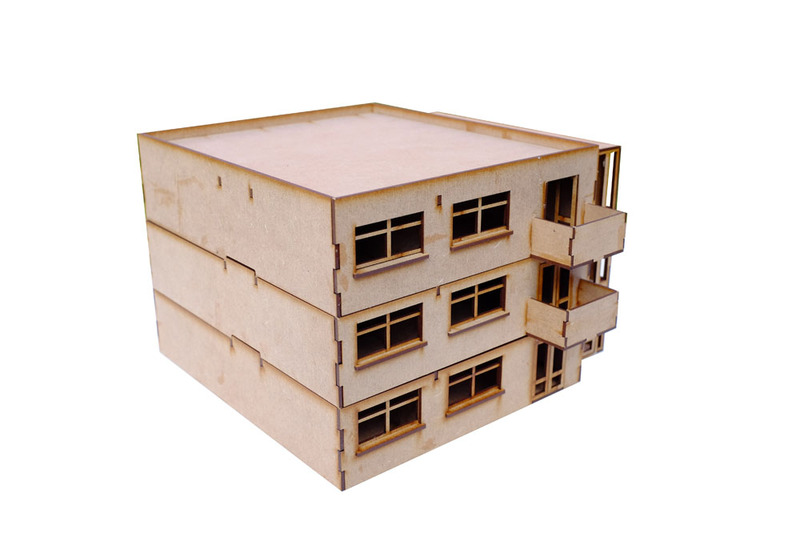 The kit comes will ground, first and second floor flats with an attached stairwell. The first and second floor both have a small balcony. Each floor is removable giving access to each floor and the space in the stairwell. Each room also has full internal walls and doors. The roof is flat so figures can use the roof space. The kit measures 200mm x 252mm x 160mm high. The kit needs assembly and painting.